Shaftesbury Glen is a Clyde Johnson masterpiece that was inspired by the designs at Winged Foot and Augusta National. The layout highlights features reminiscent of typical courses of the British Isles, with wide flowing fairways and raised bent grass greens, as it winds though forests and farmlands along the Waccamaw River. This manicured layout includes plentiful lakes, marshes and ponds with 13 of the holes having water hazards in play in some shape or form – mostly on the perimeters. There also are 50 sand bunkers located near the landing zones off the tee or situated greenside. The putting surfaces are large and only mildly undulating with open fronts, but are quite raised and often well bunkered. The landscaping and conditioning here are top notch, and the four sets of tees provide golfers of all skill levels with an opportunity to choose a set that fits their game. The tips measure 6935 yards with a 140 slope, while alternate tees play to 6445 yards/135 slope, 5989 yards/128 slope and 4976 yards with a slope of 118. Place Description: Shaftesbury Glen Golf one of the best course layouts in Myrtle Beach. This is one to play - the landscaping and conditioning of course are top notch. 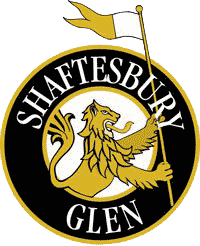 Shaftesbury Glen course is a hidden Gem and a must-play in the area. The location is off the beaten path but worth it. The bent greens are consistently well maintained, greens are quick with deep buckers. It doesn’t disappoint. This course was a longer drive then most of the rounds we usually play but worth the drive. We played 3 courses last weekend found Shaftesbury Glen Course in bad shape would not recommend it , Aberdeen Golf Club was good but Indian Wells Course was in the best shape, we would recommend to play there at this time. Played last week with a couple of friends and we were all impressed with course. Nice green, challenging layout and pace was good. This course is a hidden gem. It wasn’t on our list but with such good recommendation we decided to book and stay in North Myrtle Beach. The layout is fairly flat with very wide fairways but majority of greens are elevated deep bunkering so the tee shots are forgiving but shots to the green must be more precise. Enjoyed lunch at club house and pace of course was good finished in a little less then 4 hours. Our group of 3 with mixed skill levels had interesting round because this is a tough course. It is very challenging and impressive course with its elevated greens on many holes with huge greens make playing out of these bunkers enjoyable and frustrating at the same time. So a the less experienced golfers had a more challenging round they still enjoyed it and we will be back. We play this course every year always and love the new golf cart addition.